THEMOVE presents: Breakfast with Ian Boswell. Ian Boswell is in his first Tour de France for Team Katusha-Alpecin. Marshall Opel is in reportage mode, exploring and touring France. A former U.S. Cycling National team member himself, Marshall was roommates with Ian back in the day and decided he'd go over and tag along for his first Tour ride. He'll be talking to Ian each morning, discussing things such as how he got here, his influences, his generation along with the daily rituals of diet, rest, stress, the race, the riders, the stages, the people, the spectacle and whatever may come up during this three-week life called Le Grande Bouche. Training's over buddy, time to race bikes. This is real. 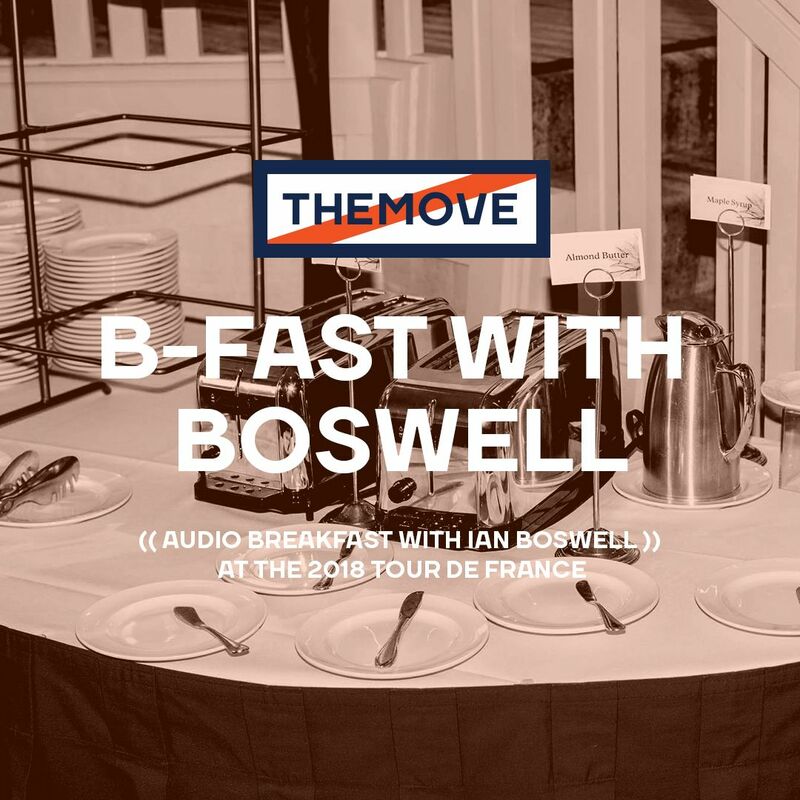 This is B-fast with Boswell before Stage 1 at the 2018 Tour de France.